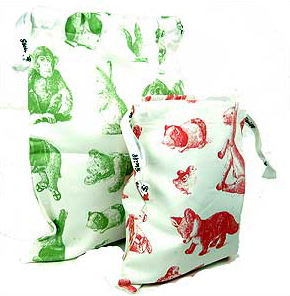 Steiff drawstring cotton bags are available in various sizes. Featuring nostalgic original drawings by Paul Steiff, they can be purchased on the web site or from our Ashby Bears store. They provide wonderful packaging for your gift. 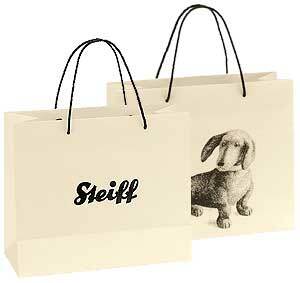 View the Steiff Cotton Bags! 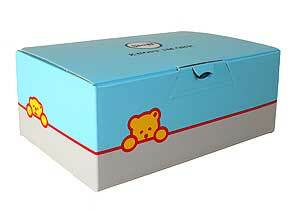 Available as an option on many of our Steiff products, these boxes are the perfect way to present your Steiff gift. Unfortunately, gift boxes are not available seperately and please note, certain large bears and animals will not have a gift box option due to their size. A large cotton bag may be available for these bigger items and will be displayed as an option, if applicable. Also available as an option on many of our Steiff products, these paper carrier bags are a great alternative to present your Steiff gift. Unfortunately, Steiff carrier bags are not available seperately on our web site, but can be purchased in our Ashby Store.